I’ve created these meal plans to give you some ideas as you work to clean up your eating habits and create a plan that works for you. Healthy eating should never be boring, right? We all crave variety. You will find plenty of recipes and options in these plans. It’s not a personalized plan. This is a sample plan and I know that it may not fit everyone’s tastes, needs or calorie goals, so you WILL need to modify it. It’s up to you. Replace the snacks with your healthy favorites. Add another meal or take one away depending on your goals. I’m not a registered nutritionist but I worked with one to create this plan to ensure that this plan makes since for someone who is working out 3-4 days per week minimum. This is why the plan is not a super low calorie plan (i.e. 1200 calories). I don’t know your exact health and dietary needs, so you need to keep in mind that you should personalize any meal plan to your needs. Use these meals, snacks and recipes as an example instead of trying to follow them exactly. Hello I’m Angie Glover I been clean eating. I started Sunday I Set My Goal To Loose 25 pounds. It’s a start. GOOD LUCK TO ME. You can do it, Angie. Do you have any clean eating plans that DO NOT involve fish or pork chops????? I need help real bad…I need a heart transplant and need to she’d 80-100lbs before hey can put me on the list. Hi Abbie, I would suggest that you switch those meals out for other clean eating meals. Check out http://www.cleaneatingmag.com for great recipes. Well wishes to you Abbie. Perhaps switch out some meals from the vegetarian list for those meals. Praying for your success and health. God bless. Abby plz contact me I have the answer for you. I needhelp really bad to nikki, how can u help me? Omg Abbie Curry!!! How are you doing? Have you received your new heart yet? I received mine on Aug. 9, 2013 and I am doing wonderful!!! Well wishes on your journey Abbie. These clean eating plans are a good place to start. Looking forward to the suggestions! I notice that the vegetarian meal plans only have one snack. Why is that? I find that when I write plans for vegetarians they don’t need 2 snacks because the food has much more fiber and is more filling so you stay full longer. If you would like 2 snacks a day, feel free. Can you print any of the plans? I’m worth it!!!! I’ve gotta do this!! Hi, I would suggest that you search online for plans that are low carb and full of nutrients (low on processed sugars, moderate natural sugars. You need a plan that works with what your medical professional has instructed you to have in terms of sugar intake). In terms of juice, I would go with 100-70% veggie juice. If you use any fruit juices, they should be cleared with you doctor in terms of the glycemic index level you can have or not. In the success stories, you can click on the person’s name and go to their FB page, instagram, website, etc. I’m in I need help!!! I am not waiting until January 1, 2014 to start my weight loss journey. I started today. As the saying goes, “You’ve got to be in it to win it!” I plan to get fit and “Gone with the Wind” Fabulous in 2014. I love this website. These success stories are so inspirational. I’m in need to lose 110 pds. Can I print this? Thank you so much! I started today. Is there any other nut that I can switch out for almonds? I don’t like them at all. I would love to start eating clean. I am still breast feeding and diabetic. Is this safe for me? Clean eating is healthy for most people, however your doctor would be the best person to ask. What you need to make sure is that you are eating in a way that provides the nutrients and vitamins to your child and a way that doesn’t negatively affect your diabetes. I’m not an expert in those to areas, so I would suggest speaking to your doctor and OBGYN or Pediatrician. I will start this plan today! I am ready for real change! I would love the information. What is written on each gallon of water? All I can make out is the day of the week. Heyyyyy I love me some Samons! I’m interested in either doing the clean eating meal plan or the vegan diet. I have a question about the vegan diet. when on this diet could I work out? If so what would you recommend as far as excercises using this diet? Please let me know. I’m very curious. Oh yes. As long as you’re getting enough calories for your day to day living and exercise, you should be fine. It’s not like a fast. Sorry I haven’t checked in for a couple of days. I had bad day that was on Monday. I jump right back on Tuesday, I was laid off last jul and still trying to find a job and it is hard. So this week i will try harder, to focus still doing may challenge. I have been vegetarian off n on for about a year but I want to go completely vegan. So I am in. I don’t like oatmeal, substitution please. Whole Grain cereal that is low in sugar. I am loving this site. Ebonie you have so much great information on this site and your feedback to members is awesome. 1600-1740 calories. I’m not familiar enough with the points system for WW. I am starting my clean eating today.. I want to loose 30lbs by Dec 15th 2014.. I got this…Pray for me and I’m doing the same for you all. Would love the clean foods list. It would help with my high blood pressure and my weight lost journey. Could you come up with a plan that is gluten free. If some of us who are gluten allergic or just sensitive tried to eat your plan we would be very sick. I’m gluten sensitive but l need to lost weight. Health issues going on I would love to drop 50-60 pounds to get me back on track. Much help needed. What can I do to replace the brown rice and we bread. Due to the gluten, starch, and phytic acid. I have hypothyroid and gluten is my enemy. You can use veggies instead of brown rice as a side dish. There are some great gluten free wraps out there made out of spinach or gluten free grains. Hi, i wanted to know, is it best to start at the beginning of the week, I happen to stumble over this from fb, and i really need to shed 25 pounds. This list is very great. When these diets are put out can there be a link or something that just lists the shopping list you will need for that weeks food? There are shopping lists included for each week. Im very interested in this. I have already lost 90lbs and need another 50-75 more but feel like I am slipping back into my old ways and need to focus and reenergize. Whos with me? Tina, oh my 90lbs is awesome. Did u do this diet to lose the 90? Or what were u doing? Do you have meal plans for people with diverticulitis, lactose intolerant and allergic to chocolate and coconut? I so want to do this! The veg meal plans are great. I am new to this site so any other info/resources are greatly appreciated! Are there any personal trainer/coaches online that are good? Health issues and just sick of being overweight. Thanks for your feedback and blessings to all. Hi Ajima, I don’t want to loose weight but want to eat healthier. 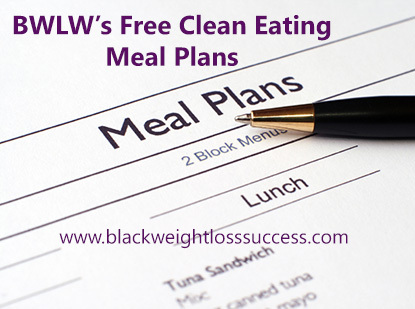 What is your recommendation when completing the clean eating plan? Thanks so much! Very excited for these plans!! You can eat these plans just to be healthy. You just have to make sure it’s not too much food in terms of calories and nutrients. The clean eating plan is about 1600-1700 a day. How much do you weigh? How much do you workout? Thank you for your response. I weigh 106lbs (4’11”) and work out on a good week about 3-4 days. Hi Brittany, The first step I would suggest for you is to visit iifym.com to determine the ideal amount of calories, carbs, fats and protein you should be eating to fit your goals (staying the same weight, building muscle, etc). Then you could use our plan as a model, but you may need to decrease the amount of calories. You’d have to come up with an eating plan that fits your unique needs. Am over Thanksgiving food time to get me back on the grind to getting a healthier me. What can user in place of pork and beef I haven’t eating it in almost 4 years. I’m fat and I eat too much, but I’m gonna try!!! Looks like it will work. I’m in. I’m ready to add this clean eating regimen to my detox and work out plan. Doing a 90 day challenge with some other ladies. Can’t wait for the results. I’m in for both challenges. I’m 7 weeks post partum. And I’m breastfeeding my daughter. I have a heart condition and need to lose about 90lbs. What meal/exercise plan can you recommend for me? Thank you! Hi Jaunice, Because I don’t know your medical history and you are breast feeding, I’d suggest that you get a referral to a nutritionist from you doctor so that you can speak with someone who is familiar with nutrition for new moms who want to lose weight. I’m just list I want to lose weight but I honestly don’t know were to begin. HELP!! Im in! Ive been reading Vegetarian Times. Vegetarian brgginners guide.